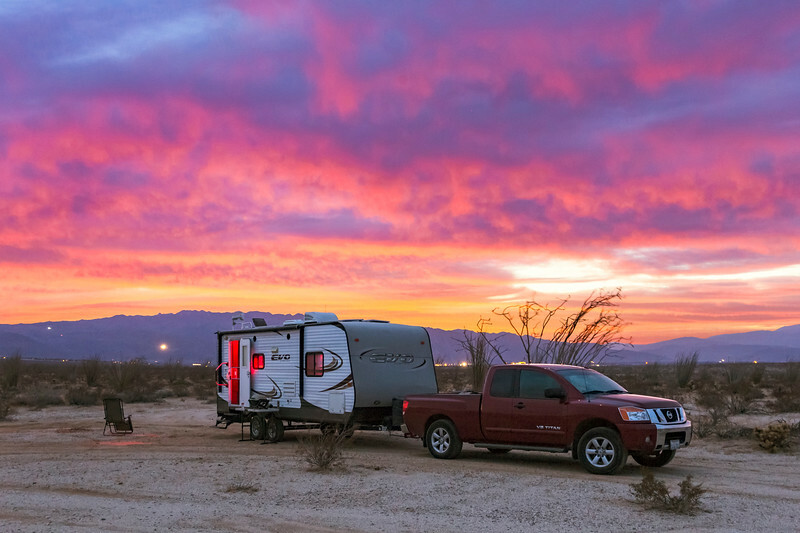 My camper and a nice sunset in the northeastern part of Anza-Borrego Desert State Park. Shot on April 21, 2018. And yes, I have color-changing LED lights inside my camper.